I recently completed this Digi Pack CD Design for a Dominic Finley, a singer/songwriter client who I’ve worked with before. 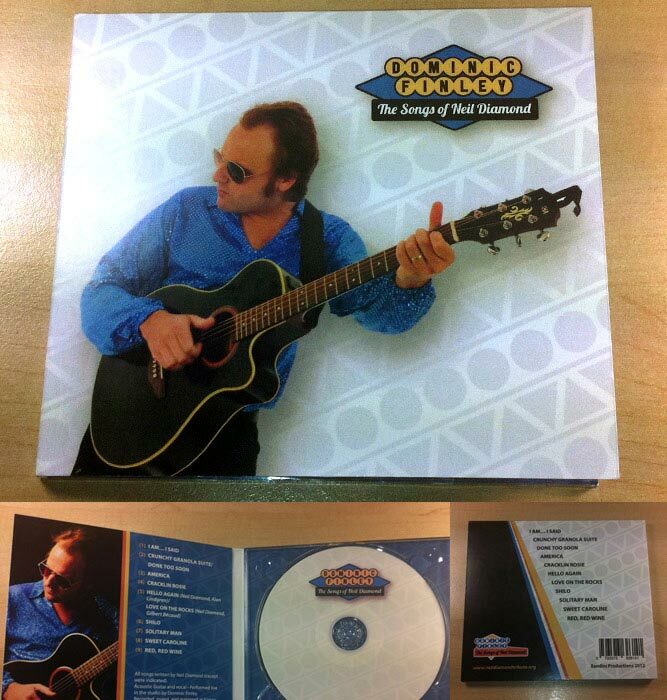 His new CD is named ‘The Songs of Neil Diamond‘ and as can be seen, has been designed in a ‘Las Vegas’ style! 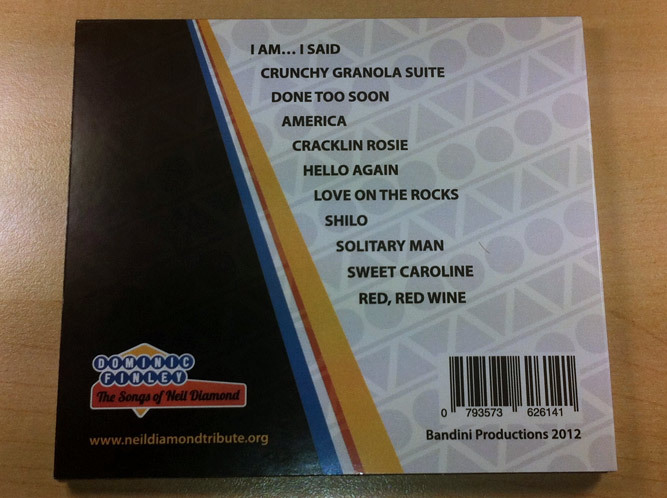 The design was based on a 4-panel Digipak® template and was printed in Australia (where Dominic now lives and works). The design itself was primarily blue and white, with the glamourised image of Dominic taking prominence. As can be seen in the image above, the white CD design looks quite good in the clear plastic holder, and set against the patterned blue background. This photo doesn’t do the back of the CD case any justice,but the pattern continues into the black area on the left. The whole design was a rather simple yet effective design that also made use of a professional barcode. ☰ If you would like me to provide you with a Free Quotation for a CD album or Single/EP, please use my CD Quote Request Form. ← Is This the Best Paper Samples Box Ever?